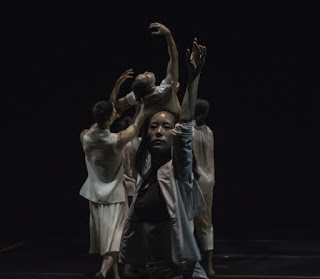 The latest full-length contemporary dance from Robert Moses’ KIN has a memorable title, 21 Fully Realized Incomplete Thoughts. The number twenty-one, of course, is in honor of the company’s twenty-first season. Then, there are two contrary states placed in the same container – ‘fully realized’ and ‘incomplete’. Choreographed by Moses, the world premiere work lives into its title with a series of highly developed episodes, each one independent and in progress yet also part of a whole. Individual segments strung together like beads that in the end, created a unique work of art. For 21 Fully Realized Incomplete Thoughts, Moses transformed Z Space. The usual bleacher seating was reduced, the stage floor expanded, and the audience was set up on both sides of a long performance corridor. This made for an interesting perspective when viewing the piece. Some events happened right in front of you, and others were at quite a distance. Harkening back to the delicious enigma and duality suggested by the title of the dance. Six of the seven dancers began at the back of the space and with distinct movement characteristics, traveled the length of the ‘runway’, as one dancer sat watching them at the opposite end. While the score morphed into an 80s/90s style rock ballad, the cast continued their journey, exploring the path with trios, pas de deuxs and solos. Over the next sixty-five minutes, twenty-one varied ‘chapters’ unfolded. From Vincent Chavez and Hien Huynh’s brief but angry rant with rolls of bubble wrap to Norma Fong’s gorgeous solo, set to a layered mash-up of Ave Maria and Prelude No. 1 in C Major by J.S. Bach. From a collection of powerful arm gestures to the women’s Graham-influenced unison floor sequence near the end of the piece. Where 21 Fully Realized Incomplete Thoughts struck most strongly was in its form and structure. Texturally, Moses included a trench of wood chips on one end of the stage, which scattered randomly as the piece progressed. And while I didn’t totally understand the relevance of the bubble wrap, it certainly contributed yet another unexpected quality and consistency to 21 Fully Realized Incomplete Thoughts. Having each episode be its own and yet be related to a larger choreographic statement was a fascinating way to build a dance. And this was accomplished by keeping some elements consistent across the board. First was the mood. 21 Fully Realized Incomplete Thoughts was dark, heavy and serious, even angst-filled. This read very clearly throughout the entire piece with just a brief moment of lightness injected into Crystaldawn Bell’s final solo. Dynamics served as a second throughline with constant high levels of intensity and energy. And though each part had different choreography and physical vocabulary, isolations, contractions and reflexes were recurring themes. 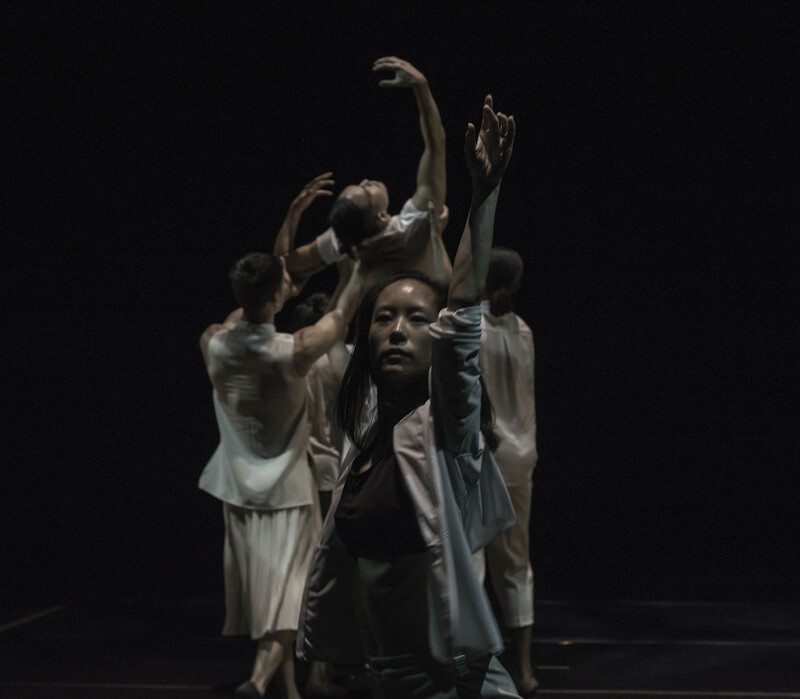 21 Fully Realized Incomplete Thoughts is a mesmerizing composition of cutting-edge choreography danced by a talented and dedicated ensemble. It’s only challenge that it is far too long.